’Mission Rescue’ is five mornings of activities for primary-age children (those who are currently in years Foundation to 6 at school). 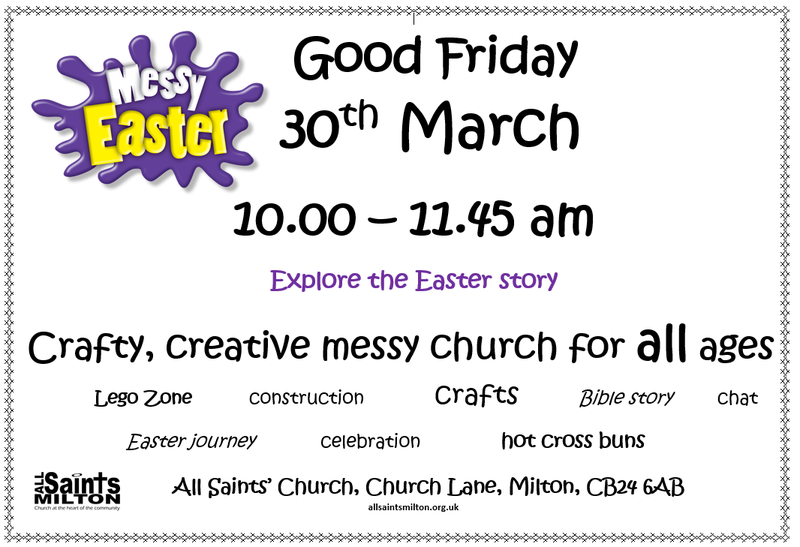 It is organised by All Saints’ Church, led by Christian Osborne (the Children & Families Worker) and takes place in the church building, Church Lane, Milton, CB24 6AB. Mission Rescue is the theme and each day will include games, Bible stories, songs, craft, drama and more. Please complete a separate booking form for each child and return it to the church office or The Rectory, 24 Church Lane, with your payment. Spaces are limited, so book early!